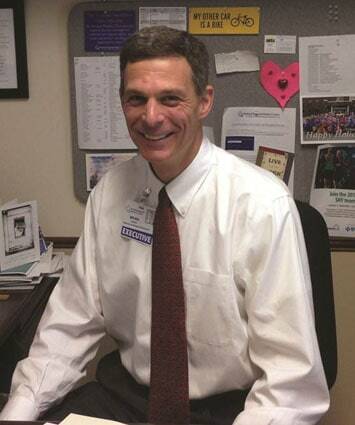 RUTLAND — On Dec. 9, Rutland Regional Medical Center named Brian Kerns as its new vice president of Human Resources. Kerns replaces Allison Wollen, who accepted a position as vice president of Human Resources with Loretto Management in Syracuse, N.Y.
Kerns, a Rutland native, has more than 20 years of experience in human resources and was most recently the director of Human Resources at Rutland Regional Medical Center. Prior to that, Kerns worked for Office Depot in Delray Beach, FL. Kerns earned his bachelor’s degree from the University of Vermont and a master’s degree from St. Michael’s College. Kerns is married and has a 13-year old daughter. He is an avid mountain biker and skier.